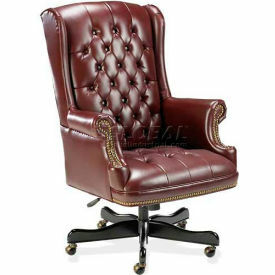 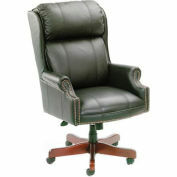 Executive high-back chair features individual nail head trim, vinyl upholstery, and mahogany finish on exposed wood. 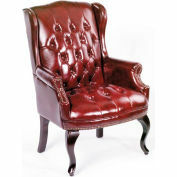 Frame is made of kiln-dried hardwood lumbar and is double doweled, glued and screwed for durability. 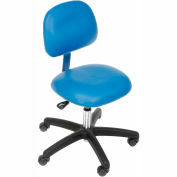 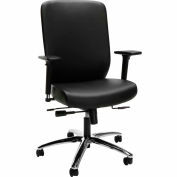 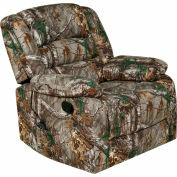 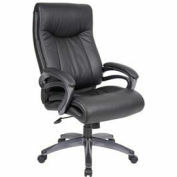 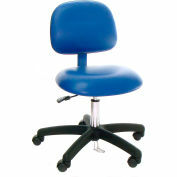 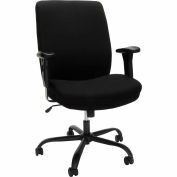 Functions include pneumatic seat-height adjustment, 360° swivel, tilt and tilt tension. 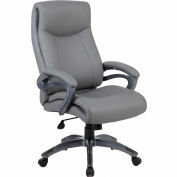 Five-star steel base features five casters for easy movement. 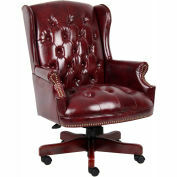 High-back chair meets the CA117 fire-retardant standard. 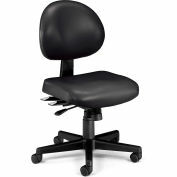 The durability of vinyl or rub rate is 100,000.